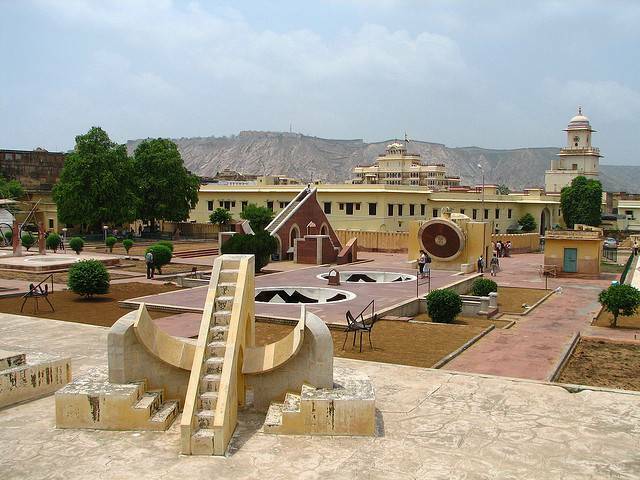 Built by King Jai Singh in the eighteenth century, Jantar Mantar observatory was used to predict eclipses, measure time, and track stars. This site is on the world heritage list, as it demonstrates the astronomical interests and abilities of the late Mughal court. Set against the Rajasthan hills, in 2006, the observatory was used as a maze in the film The Fall.